I’ve been generally lazy about maintenance over winter, and for several weeks (probably months, but never mind) the back gears on the Xtracycle have been playing up, in particular the middle gears seemed to think clicking the lever was a suggestion, to be given some consideration and possibly followed. Eventually. It was one of those gradual problems that you get used to over time, which was why I’d not bothered about it much. Then came several weeks when I almost exclusively used the commuter bike. For all its faults this has gears which change when I want them to, and the shock when I went back to the Xtracycle was enough that I finally got around to doing something about it. That something was to remove the rear mech that came with the original Raleigh bike back in 1997, and which has survived all my mistreatment over the last 20 years, but which I was pretty sure had finally given up. Being me, I’d hoarded several replacements, including one from a ‘scrap’ bike a customer brought into our local bike shop many years ago. It took ten minutes to change it, plus about three days faffing about and putting it off. This made very little difference, so I did what I should have done at first and cleaned out the outer tubing and replaced the brake cable. This got a result. The gears are still a bit iffy, but they usually change when told. Or within a couple of seconds, at least. I’m wondering if the main issue is the over enthusiastic use of cable ties on the cable, but naturally now the bike is ridable again I’m ignoring the problem. 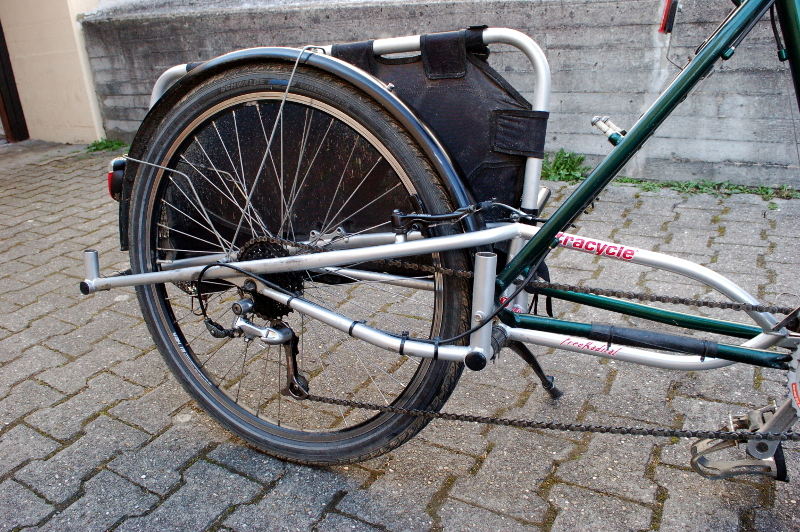 You might find it useful to run the chain through a length of chaintube where the chain passes close to the rear tyre. I would have thought two lengths of 15-20 cm would keep the chain a lot cleaner. I wondered about that but I can’t see where I would fit it: the chain is long but the only anchor points are very close to the cassette so it would cause more friction. I see the point about the dirt though.Must clean the poor thing soon.